There will be a place to rest and sit on the patio, if you're tired. 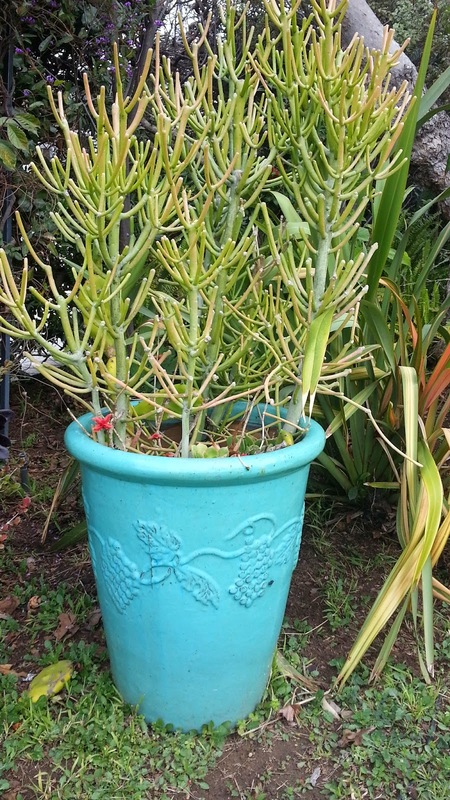 One owner has gardened for many years and can explain the habit and needs of many of the plants. 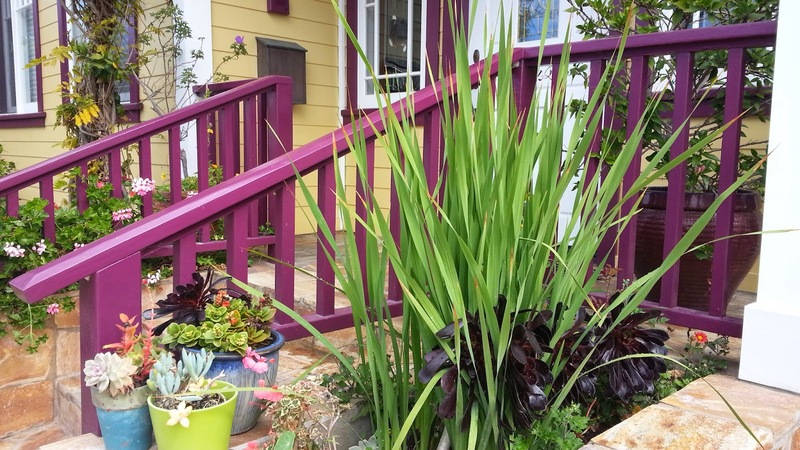 The front yard is drought resistant, planted with California natives and plants from other parts of the world that require little or no water. The garden resembles a wildflower meadow, with both planted and “volunteers” popping up in a whimsical manner. 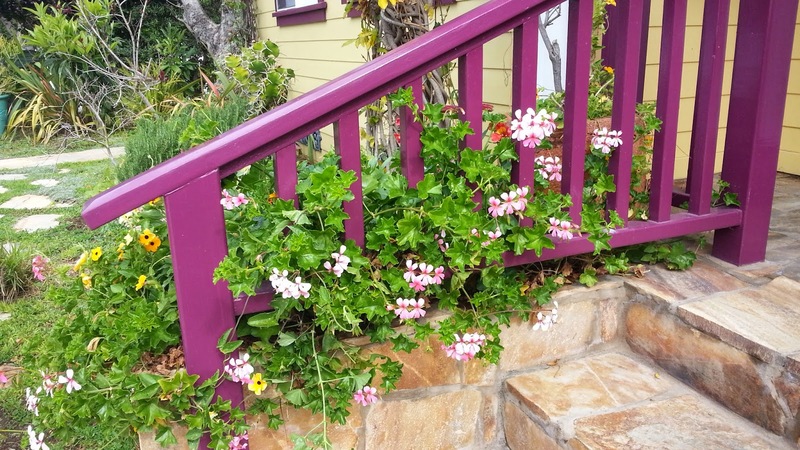 The owners have added plants since Sarah Herman Landscape Design did the original design. Sarah, a designer who is becoming well known in the Berkeley/Alameda County area, is the owners' daughter. The front yard requires very little water and a minimal amount of trimming after bloom. The owners capture rainwater from the gutter when it rains or fill their can with the hose when necessary, and water shrubs by hand. The backyard contains fruit trees and vegetables, along with drought resistant flowers and shrubs. There are greens, herbs, blueberries, lemons, oranges, tangerines, apples and struggling stone fruit and avocado trees. It's a haven for wild creatures, glorious butterflies and lots of birds. The back garden is a mixture of mature shrubs, trees, vegetables and plants that thrive with a minimum of water and maintenance. The backyard sprinklers are set for twice a week, about six minutes each time and turned off during the rains. Rain barrel water capture, edible plantings and regular composting are a testament to the homeowner’s commitment to living lightly on the planet. 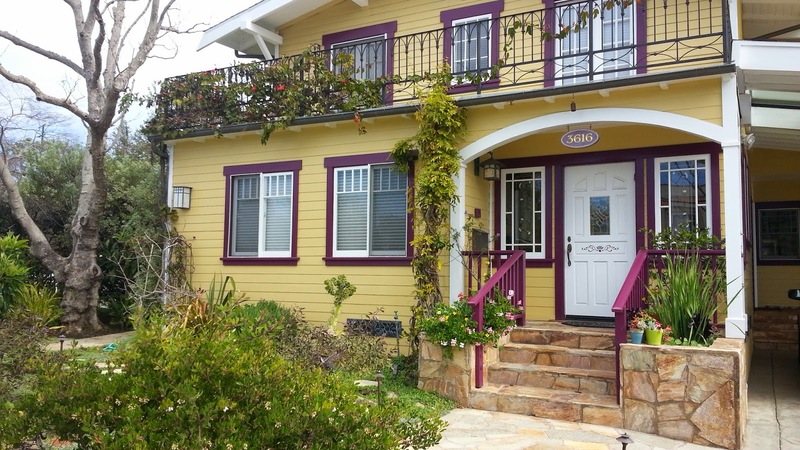 This is one of the oldest homes in Mar Vista - the house was built in 1907. After World War II, it was purchased by Rosemarie Valaire - a director of the Westside Ballet of Santa Monica, Calif., and a former dancer with the Royal Ballet of England. They raised three children here, and subdivided the property to make room for another home. The current owners are only the third family to have lived there. 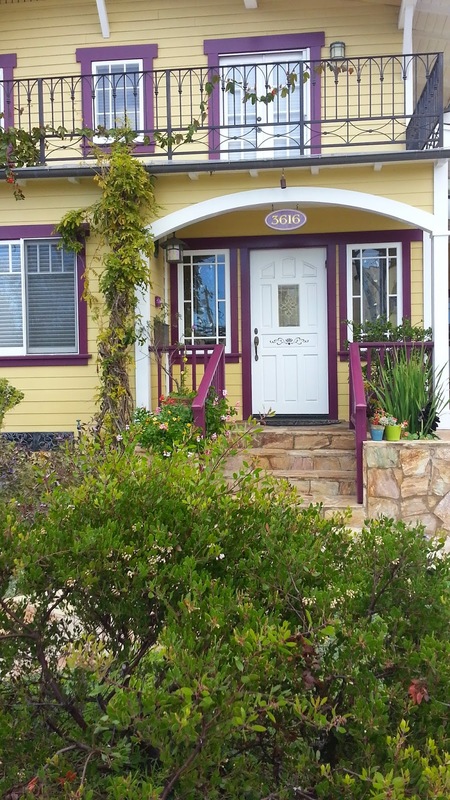 Rosemarie was a gardener and the owners have added and subtracted during their residency.